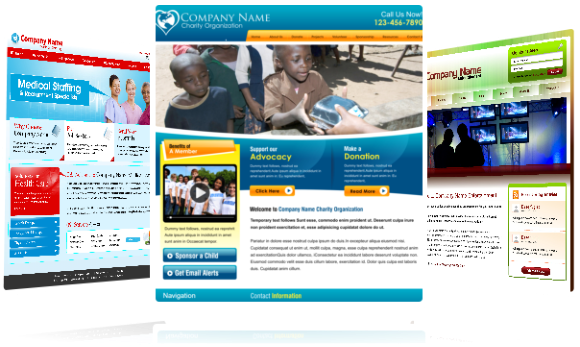 For a pocket-friendly price, you can get custom designed websites in as fast as a few business days! What’s your current opinion of your standing in business? Do you think there could be a more effective way to please more and sell more? Would you consider operating on a platform that highlights your unique twist to products and services? Giantability Media Network is here to give your business the exposure it demands on the web! The internet is an arena brimming with massive potential energy and we want you to take first class seating. Specialists in the web design industry, we create classy, professional and personalized web designs that will capture your prospects and only climb you further up in the ladder of Success. Talk to the experts for a tailor-made web design today. We’ll get everyone talking. Call Giantability Media Network at 317-937-9676. Or you can simply complete the form below with your requests to receive 2 FREE layouts at no charge.